I went to bed the other night a little bit hungry and was already starting to think about what I would have for breakfast. I decided I would make some waffles in the morning. 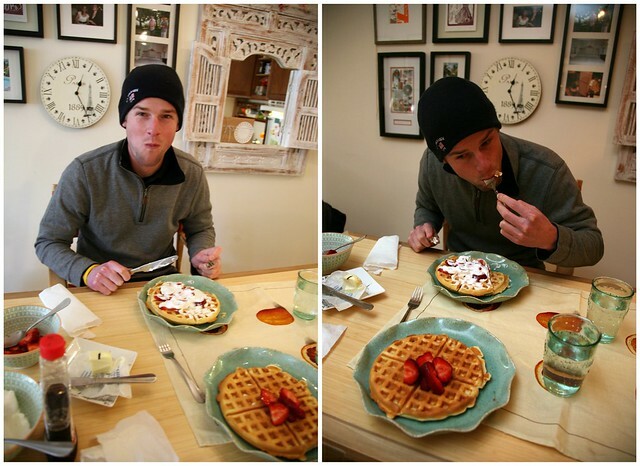 I woke up really excited to make some Fannie Farmer "Special Waffles", which are extra light and fluffy, and have a happy breakfast with Cole. Just a small dollop of whip cream for me. I'm on a diet. Naaaaahhht. Combine the flour, baking powder, and salt in a bowl. Set aside. In separate bowl, beat yolk well. Add milk and butter. Pour yolk mixture into flour mixture and whisk until smooth. In stand mixer, whisk egg whites until soft peaks form. Gradually add sugar, and continue beating until stiff, glossy peaks form. Gently mix ⅓ of the egg whites into the batter to lighten it a bit. Then carefully fold in the remaining whites until just combined. 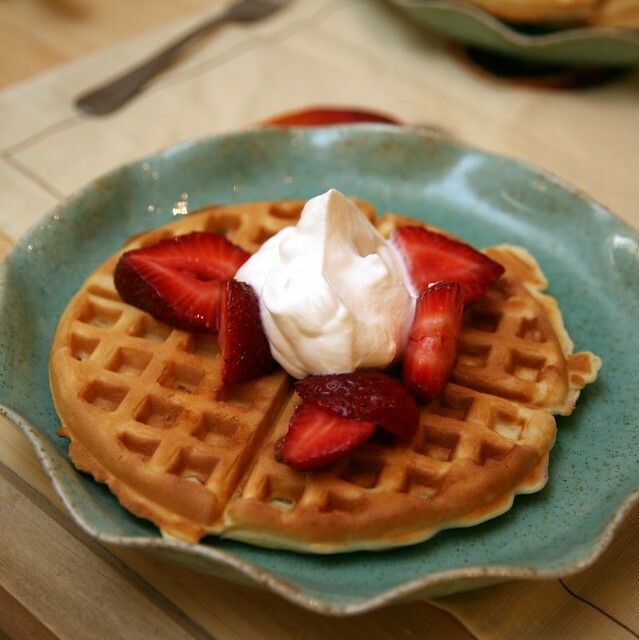 Pour in ½ cup of waffle batter in hot waffle iron or just enough to fill. Close and bake until the steaming stops and waffles are crisp, tender, and golden brown. Serve with fresh whipped cream + sliced strawberries (tossed with a drop of vanilla extract and a teaspoon of confectioners sugar) and (I mean... or?) melted butter + warm maple syrup. Whatever, don’t judge me.